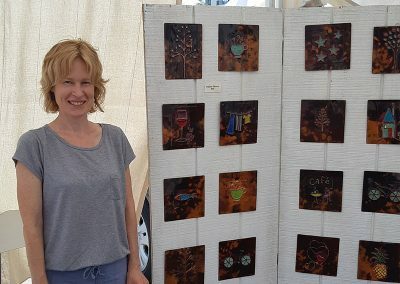 After graduating from Queen’s University with a degree in Fine Arts in 1996, my entrepreneurial spirit kicked in. 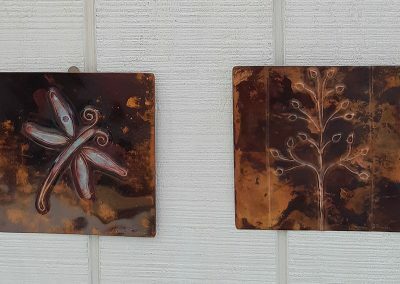 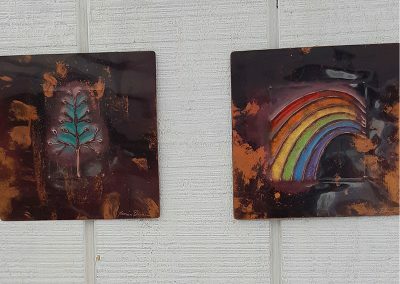 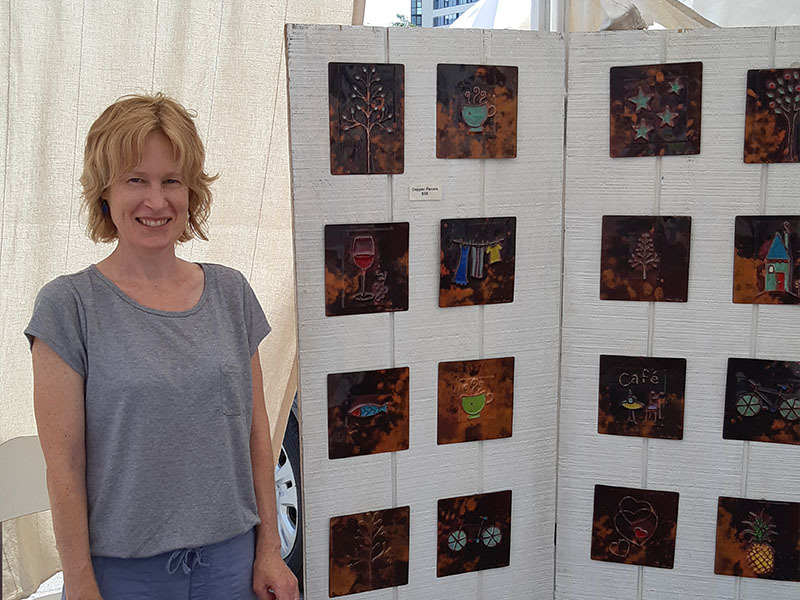 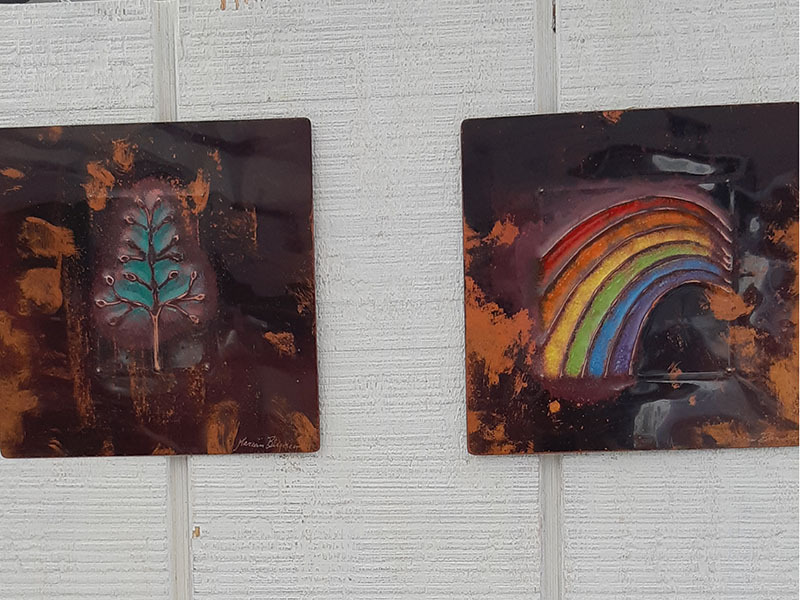 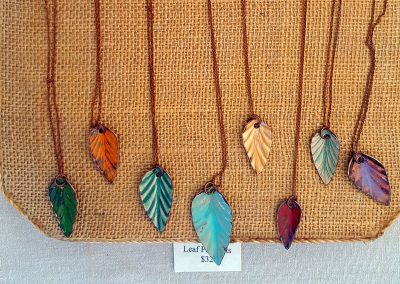 I opened my own business in order to sell my metal works and paintings, and I continue to enjoy the many aspects of being an artisan and artist over twenty years later. 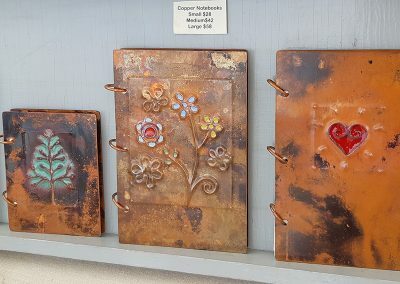 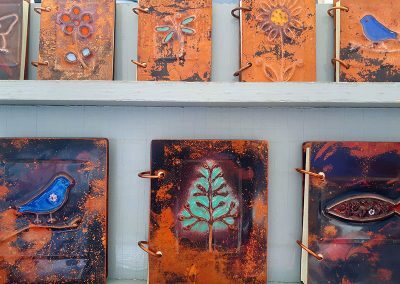 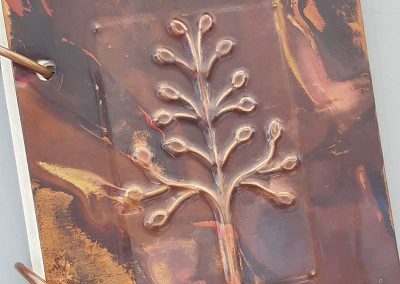 I have developed a variety of designs made out of copper and stainless steel to produce jewellery, panels, book covers and other metal works. 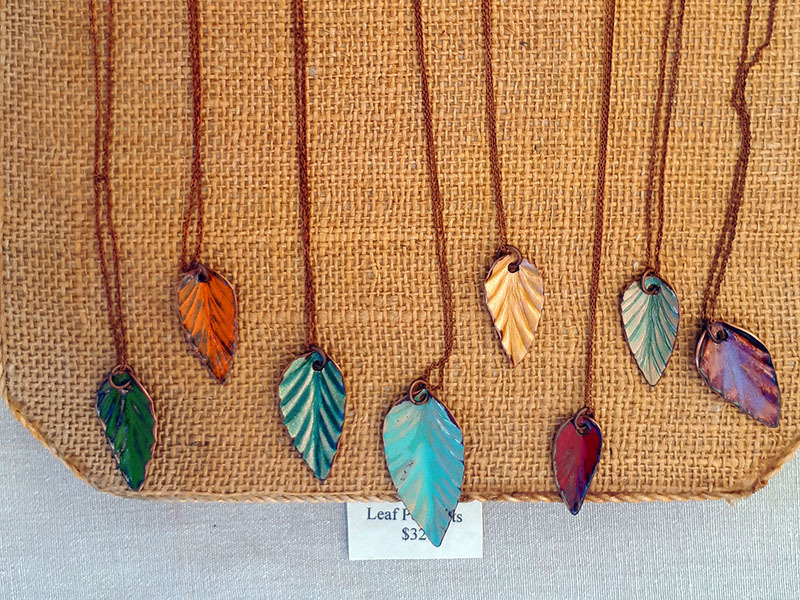 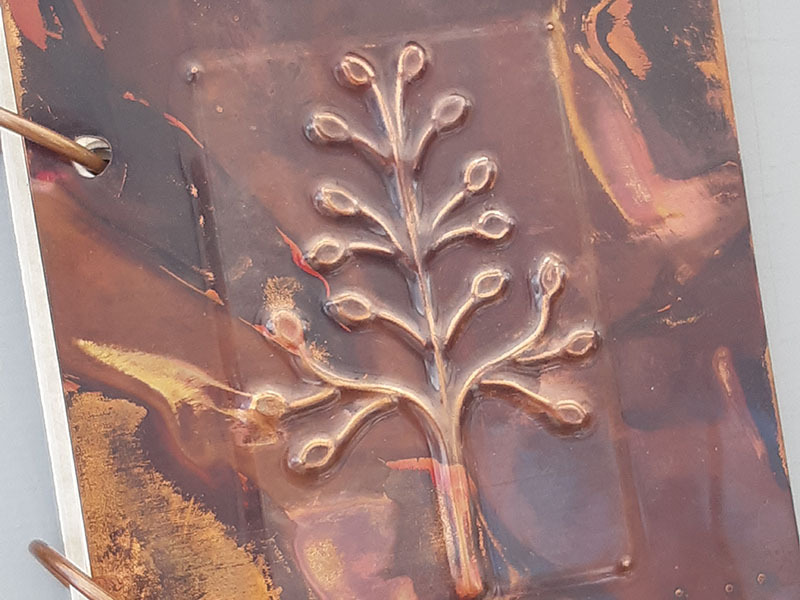 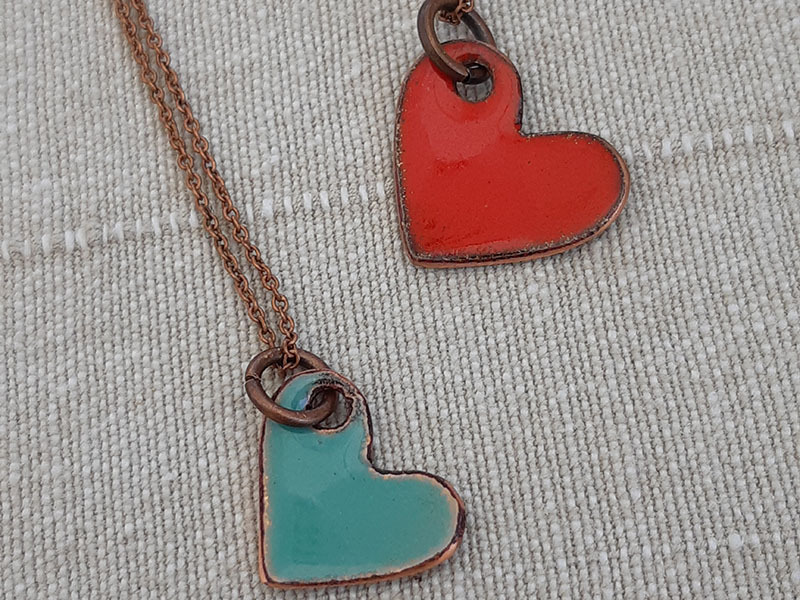 As copper is very malleable, I treat it with numerous techniques and add enamel to create unique designs. 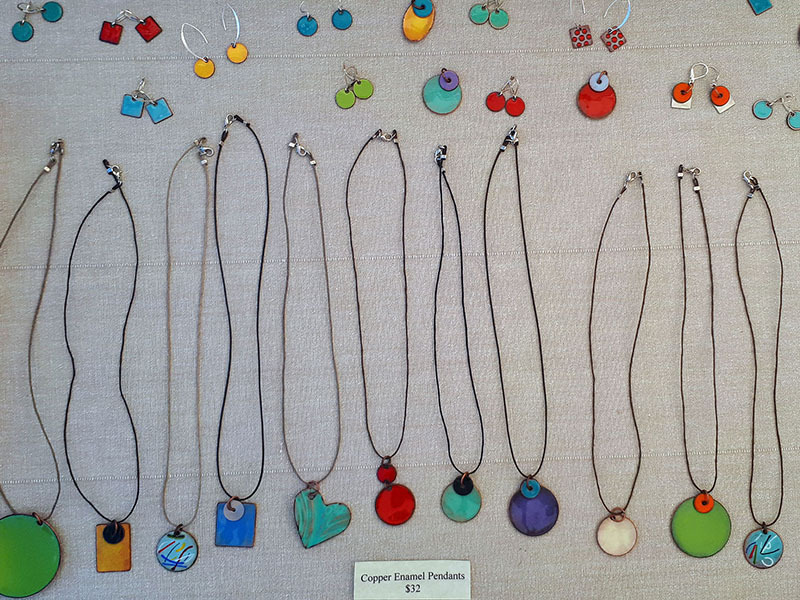 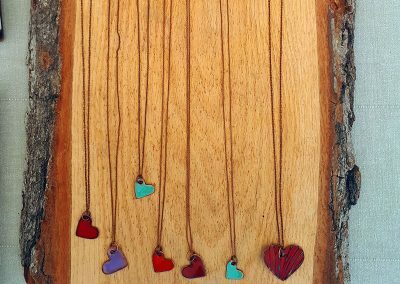 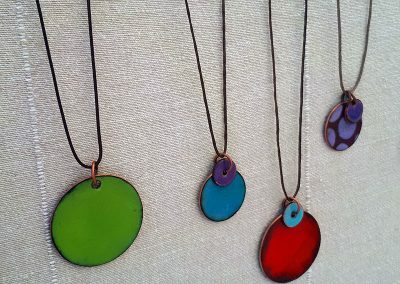 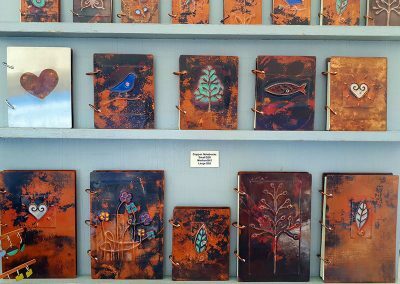 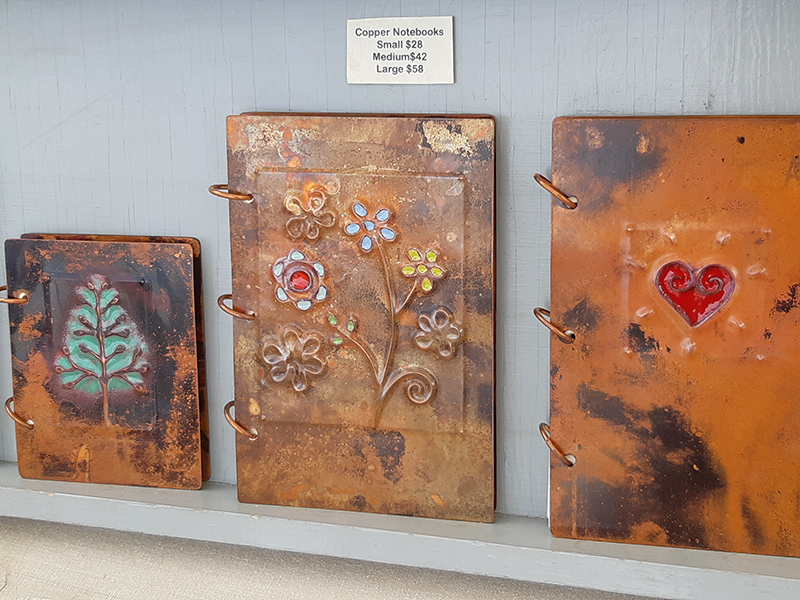 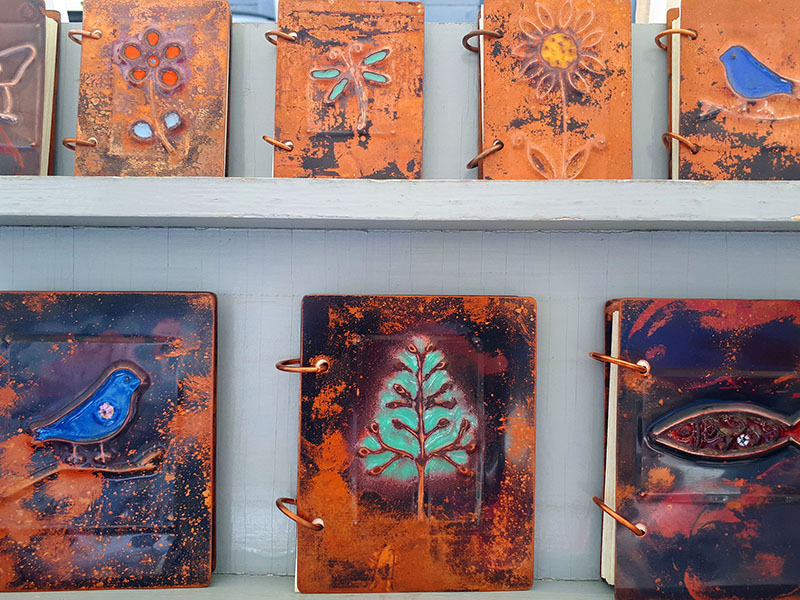 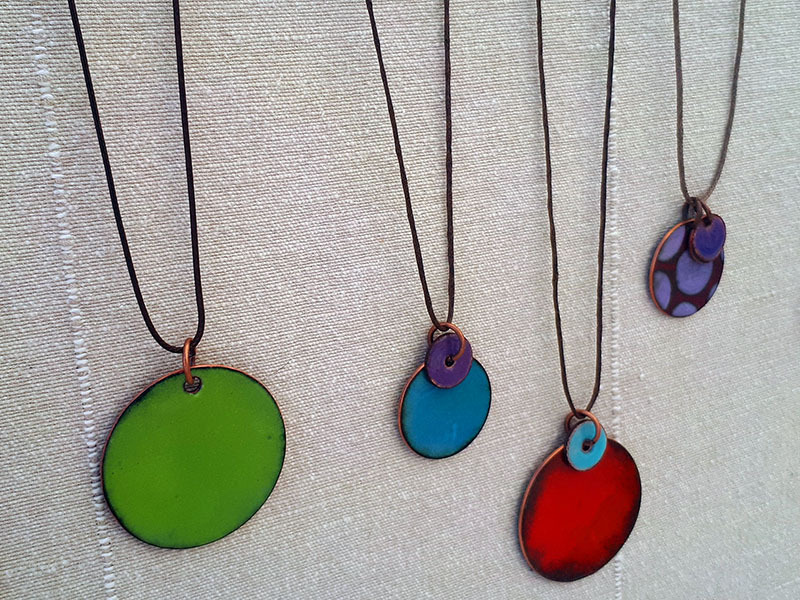 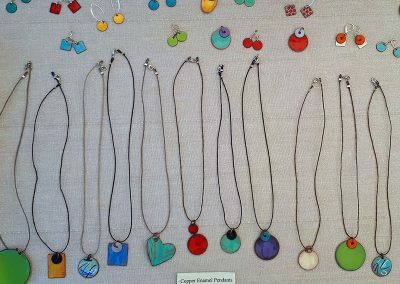 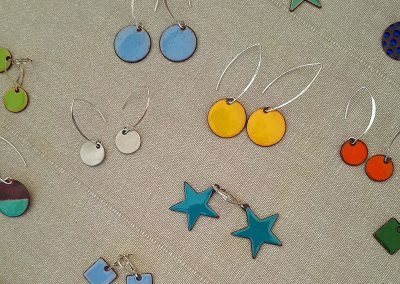 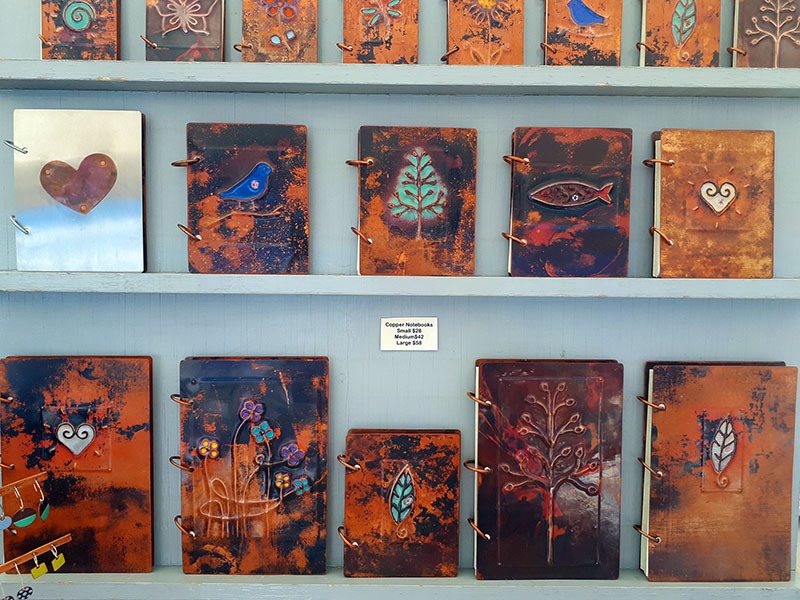 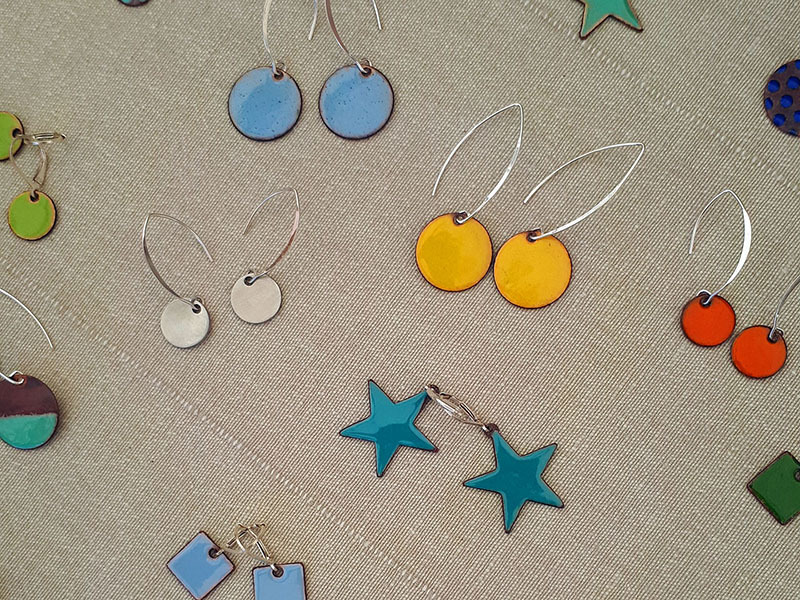 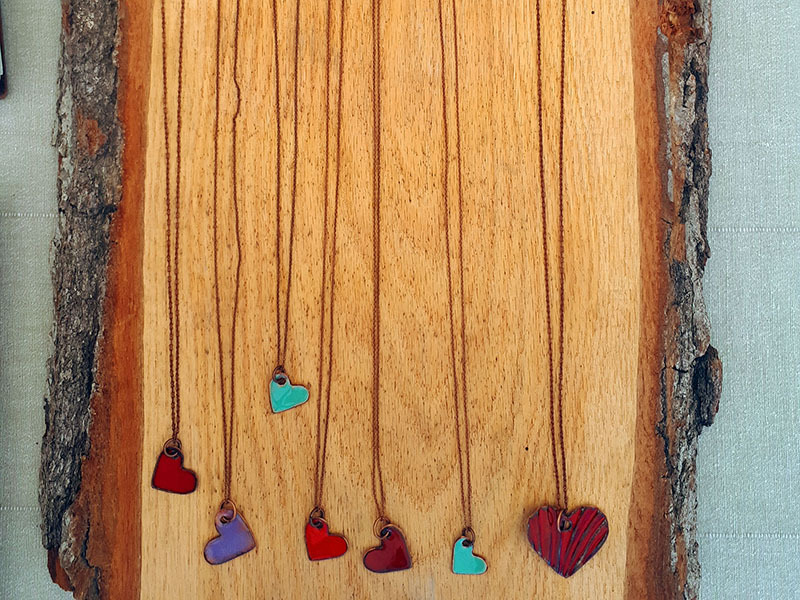 One of a kind copper and stainless steel jewellery, panels, book covers and other metal works with coloured enamel details.